Hounslow Council has given residents with a TW8 postcode permission on a trial basis to apply for parking permits in the new Strand on the Green CPZ. The move has given rise to a number of complaints from residents who claim parking in the area is already beyond capacity. A temporary experimental) traffic order came into effect on 4 February stating that occupants of Flats 1-31, Kew Bridge Road, should be granted permit eligibility for the CPZ. The Council says that following a 'beat survey' at Strand on the Green (SOTG), there is enough capacity for more cars to be parked. Each household will be allowed to one permit and it will be reviewed after 12 months to determine whether the order should be permanent or not. After a CPZ was introduced at SOTG, occupants of 2 Kew Bridge Road, who were deemed ineligible for parking permits due to being located outside the CPZ boundary, petitioned for inclusion saying they did not have adequate parking provision. This came about because 2 Kew Bridge Road was converted from an office block to residential dwellings as part of the government’s permitted development prior approval process in 2013. The aspect of the development that required full planning permission, the three flats in the roof extension on the third floor, included a condition preventing those occupants from purchasing CPZ permits. 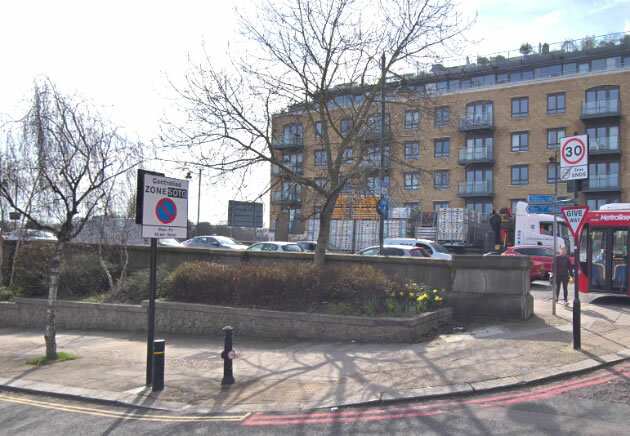 The occupants of flats 32-34, 2 Kew Bridge Road are prohibited from purchasing permits due to a condition included as part of the planning permission, therefore, they continue to remain ineligible. This would also extend to occupants of flats 1-9 Albany Court, Spring Grove who are subject to the same condition. Hounslow Council estimates that there are 392 parking spaces within the CPZ and there is capacity for the designated Kew Bridge resident permits. The Council has now come up with a design for a wider Riverside CPZ following its two local consultations on controlled parking. The next step is to get feedback on the proposed design and then have a statutory consultation, which if all goes according to plan will introduce controlled parking in part of the Riverside ward in about six months. The response to the previous consultation indicated that there is clear support for the introduction of a CPZ in the north-western section of the consultation boundary, referred to as the Riverside ‘area’. The response also indicated support for a part day scheme which operates Monday through to Friday. This is the latest in the ongoing saga of piecemeal CPZs being introduced into Grove Park, with displacement parking now leading to more areas demanding some control over parking in their streets. This is despite the overall rejection of CPZ for Grove Park some years ago. Opponents say it is being introduced by "creep" and the only beneficiaries are the Council.